Are you a fan of Stranger Things? If you are and are looking for a movie to watch with your older kids (PG-13 aged), then you will want to check out the recently released "The Darkest Minds," which is from the same producers as the hit streaming series, Stranger Things. The movie is about a group of teens who develop abilities that deem them a threat to society. So the government decides to round up all the kids and put them in a camp of sorts, far away so that they can't do any harm to the general population. But, not all the kids are rounded up, and the ones that have escaped the governments round up, team up to seek safe haven, while also bonding and forming their own family of sorts. If they want to take back their lives and freedom, then they have to band together to save themselves, and future generations. This movie is well made and really feels like Stranger Things. The actors/actresses playing the lead roles are not famed stars, but do an amazing job in making the story line come to life. You find yourself feeling for the teens and hoping that something can be done so that they can be apart of society again, and not have to fear for their lives. The addition of each of their unique powers, gives this a unique feel to the movie. You find yourself wondering how each of their "gifts" can be used to help protect this new family they have created between the group of runaways, and how they can be used to save the other kids locked away, as well as future generations. Don't worry, I am not going to spoil the ending. But, I will say that this is captivating movie and will have older tweens/teens and parents engaged in the movie from start to finish. I watched it with my husband as my girls as too young, and we really enjoyed it. My husband, like my girls do, was asking when we could watch it again. And, for a few days later he was talking all about it with me and his co-workers. 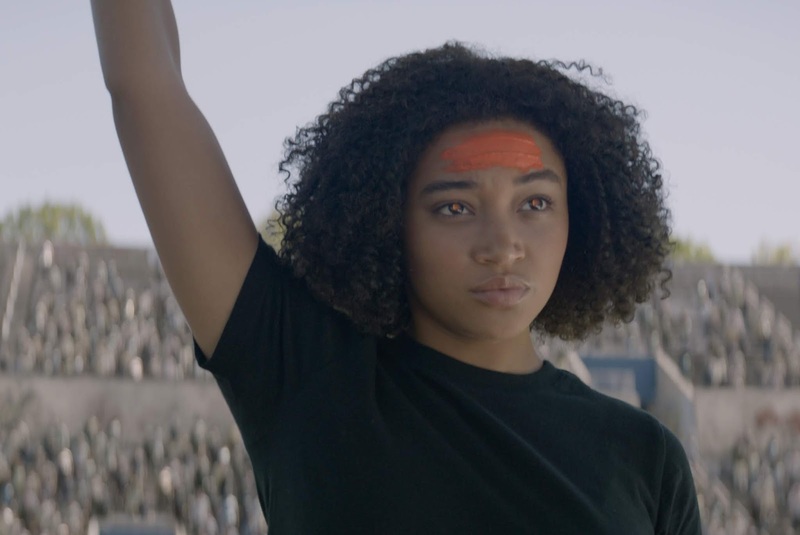 If you are looking for the perfect movie to pick up and watch with your family (of older tweens/teens), then you will want to check out "The Darkest Minds." It really is a must see movie, that will leave you happy that you watched it. 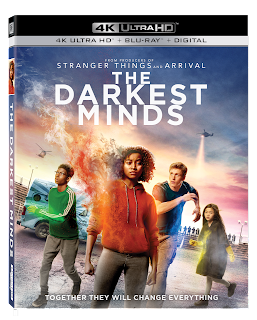 "From producers of Stranger Things comes an empowering tale of teens who mysteriously develop new abilities and are declared a threat by the government. Ruby (Amandla Stenberg), one of the most powerful young people anyone has encountered, escapes and joins a group of runaway teens seeking safe haven. Soon, this newfound family realizes that collective power is needed to take back control of their fate and save future generations."